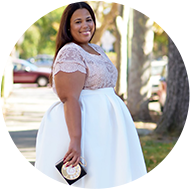 In celebration of the Canada Old Navy Plus Size launch, we'll be sponsoring a giveaway for a $100 gift card for Old Navy. What an awesome way to get your Fall wardrobe started, right?!?! To enter go to Old Navy website and let me know through commenting below what piece you would like to add to kickstart your fall wardrobe. There are also 4 other ways to enter. Please enter through the Rafflecopter widget below. Open to U.S.A. & Canadian Residents only. Winner drawn 9/3/13. Giveaway & post sponsored by Old Navy Canada. I'd love a new pair of dark wash jeans! I would love a full set of the V neck T's.. all colors! I need some new cardigans.. all the ones I have need out my closet..
Blue floral print jeans? Yes please! At this point, my wardrobe needs just about everything. Would love that fox graphic sweater! the rockstar jeans or a great sweater/cardi! Love the v-neck dolman sleeve cardis! Always buy their jeans! Yay! I'm a skinny jean kind of girl but for the fall I think I'll try rocking some boyfriend jeans. Love all the super skinny jeans!! I could use a jean reboot. I would love to add the Women's Plus Rugby-Stripe Sweatshirt Dresses to my collection for fall, I'm currently in love with stripes and I have the perfect cardigan and boots I would pair it with. I'm a fan of the animal motif sweaters...I have one...super cute! I would definitely love a pair of dark denim jeans. Slimming and looks great on my body! I want one of their dark denim chambray shirts to add to my fall wardrobe. Need some new jeans! I live in them! I'd love a pair of boots! I've never worn boots before because of my large calfs, and I just can't figure out how to style it right! I'd like a pair of ankle length straight leg jeans or bootcut dark wash jeans. I'd like the polka dot skinny jeans to add to my fall collection. I would get a denim jacket! For me it would have to be the Women's Plus Premium Date Night Jeans. I like the stretch. The dark wash chambray shirt. Yes, ma'am! I must get the military styled canvas jacket! Love it! I would add the rock star jeggings to my wardrobe. Linen pants!!! Love them and how comfortable they are. I would like the tummy trimmer skinny jeans. I would LOVE, LOVE, LOVE the boyfriend sweaters in EVERY color! They will make the perfect workplace staple for covering up in our chilly office while still looking chic and on trend. Boyfriend cardi or multi-striped dress for me! I think this would be great to add to my Fall wardrobe... I work in schools so i try to keep it conservative and professional. I can wear it to work but then also to go out with my friends. I would have to start with those rockstar skinny jeans! OMG fabulous!!! There's just so many ways to dress it up or down!!! I need those ASAP!!! I love the Women's Plus Open Front Jersey cardis...they are so versatile, comfortable and very stylish!!! I really would like to try their wide calf boots...I've never found a pair that fit me right and I'd love to see how theirs fit. Oh wow! I would love to kick off my fall wardrobe with a pair of dark wash jeans,a fab cardigan, a nice sweater, and a pair of super cute and comfy boots. 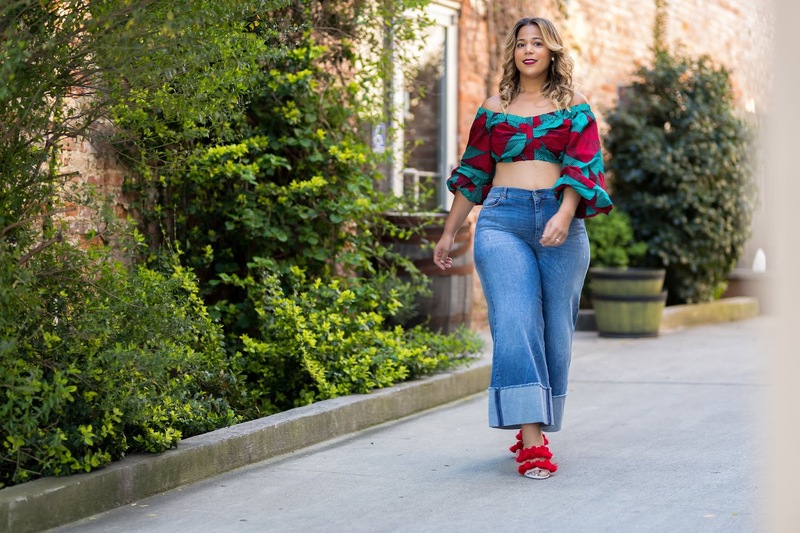 I absolutely love Old Navy's plus size collection so this was a hard one! THANKS! This was a hard decision because I love all of old navy's stuff! I'm really impressed with their color block tunic sweater and the chiffon shirts this fall. I am definitely going to order all the twill ankle pants! I would love to get into those date night jeans. I love the waist and that they are not suppose to gap in the back. I'm dying to get a dark denim jacket for fall! I love the Military Style Canvas Jacket! It would go perfectly with my boyfriend jeans for a casual look! Those Rockstar printed jeans will be mine! I would love the Premium stretch Date night Jeans. For me I love Jeans that can be causal and dressy. Those look like they would fit the part. I love the Zip Front military jacket, as well as twill peacoat. Whhhhy can't I live in Canada? I took a peek at their website, and I've gotta have those leather pants. The 3/4 sweater dresses would be nice in my fall collection ..
Would love to get a rugby stripe sweater dress! It would be great with some stockings and boots for fall, plus a cozy, slouchy cardigan! I would live the Rockstar Distressed Kegging and I'd pair it with a sweater similar to the one you did in your Denim Date Night blog post from earlier this week. Those boots were so cute by the way lol. Love your looks!! This would be a great thing to win. I will have to check out the old navy labor day sale this weekend. I'm going for a more playful look this fall. Looks like I'm going to definitely need the sequined-graphic tees in my wardrobe. (the ones that say "love and be loved" and "AMAZING" to be exact). I want that dark brown faux leather biker jacket and maybe even the black one too! I can't believe I still don't have a denim jacket! That's my piece for sure. I would love the polka dot printed pants or the coated skinny jeans! I loooovvveee the printed Rockstar jeans! The Chambray shirt looks awesome! I would love the Rockstar skinny jeans!!! I would love the red rockstar skinny jeans - CUTE! I want the boot cut jeans http://oldnavy.gap.com/browse/product.do?cid=70747&vid=8&pid=717918012 - I'm all skinny jeaned out. Dark wash boot cut jeans!! I really, really want the burgundy boot cut cords. They're so pretty and so fall! I would love the rock star skinny jeans! I love the boyfriend cardi in raspberry! I would absolutely love a pair of rock star bootcut jeans! The printed rockstar jeans because the rock star jeans fit amazingly! I'm excited about a giveaway open to Canadians! It rarely happens. I need that dark Chambray shirt for fall! I like the rock star skinny jeans. Definitely need new jeans. A basic pair of dark wash skinnies. You can dress them up or dress them down, throw on a cute pair of boots or a pair of flats. It's a staple in any wardrobe. My favorite outfit for fall/winter is a super comfy sweater, a dark wash denim skinny, and a pair of combat-ish boots. So comfortable. I like the Women's Micro-Performance Fleece Jacket. see this and like it !!! I'm dying for a pair of boyfriend jeans!! I like the Women's Zip-Front Military Jacket. I like the Women's Twill Peacoat in the Rolled Oats color. a pair of grey wash super skinny jeans would look awesome as a substitute for blue denim. I Definitely need some new skinny jeans for the colder months, especially so I can tuck them into my boots. I love the color-blocked crepe shift dresses! I always find cute stuff at Old Navy. Hope I win! Whoops forgot to add that I want to try the sequin dot tee. Oh Gosh there are so many things I would want. Seriously Old Navy is my fav. But I would love The Twill Military Style Shirt Jacket. I would love the new jeans. A basic pair of dark-wash skinnies. Goes with everything! I love the rockstar jeggings! I definitely need those in my closet! I'm hoping to invest in some new dark wash skinny jeans. 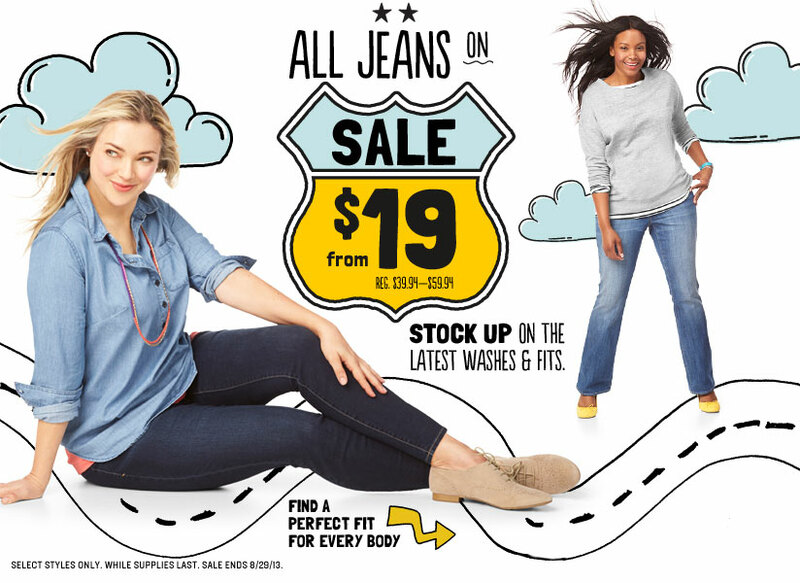 I would like the Women's Plus Tummy-Trimmer Boot-Cut Jeans. sweatshirts for fall to pair with leggings and boots. I'd love to try out the Rockstar Jeggings this fall!! I would love the Women's Zip-Front Military Jacket! Thanks! i would love the rockstar jeans! The Rock star tuxedo stripe jeans! I'd love a pair of The Sweetheart Boot-Cut Jeans. I would by some beautiful fall colored super skinny jeans and maybe some corduroy jeans as well because I have yet to add a pair to my wordrobe. :) Thank you! I would love to start the fall with a pair of Slim Boyfriend Jeans and as a bonus I already have the perfect booties to rock them with. Good luck to all you lovely ladies! i loev their entire line of colored jeans!!! Im loving the military jackets and jeans.. such a fall look! Stock up on some jeans and a new fresh pair of sweatpants! I would love the trimmer jean for work on casual Friday! A cardigan and blazer are always nice too. With so many cute vintage glass jars and vessels available these days at flea markets and craft stores, it's easy to create the perfect eco-chic gift made with love. Hello Ladies... It's my belief that EVERY woman should have selection without limitation. If you are one of the 37% of women in our society today who wear a size 9 shoe or above and you're tired of settling for being catalog queens with the option for free return please view the attached link and share with a many women who leave a larger footprint that you can possible think of. We deserve it. It's about time!